Spanning his 89 years, Michelangelo: Love and Death, takes a cinematic journey from the print and drawing rooms of Europe, through the great chapels and museums of Florence, Rome and the Vatican to explore the tempestuous life of Michelangelo. We go in search of a greater understanding of this most charismatic figure, his relationship with his contemporaries and his valuable artistic legacy. 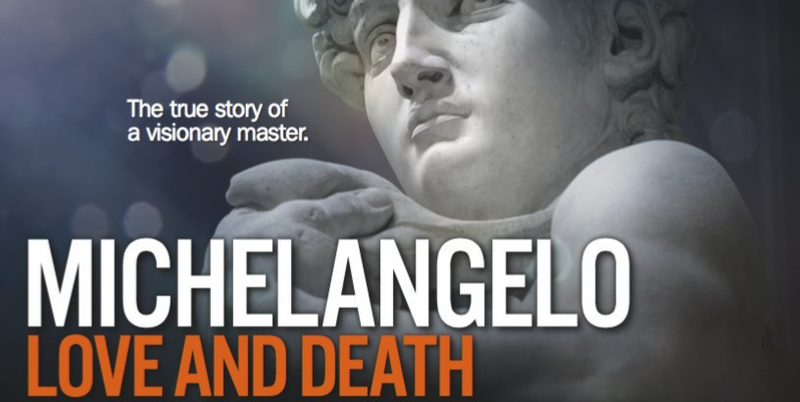 Through expert commentary and Michelangelo's own words, this film takes a fresh look at an enigmatic man whose life is celebrated in every mark and every stroke he made. Our guest speaker, Gianfranco Pocobene, is the Head of Conservation at the Isabella Stewart Gardner Museum.